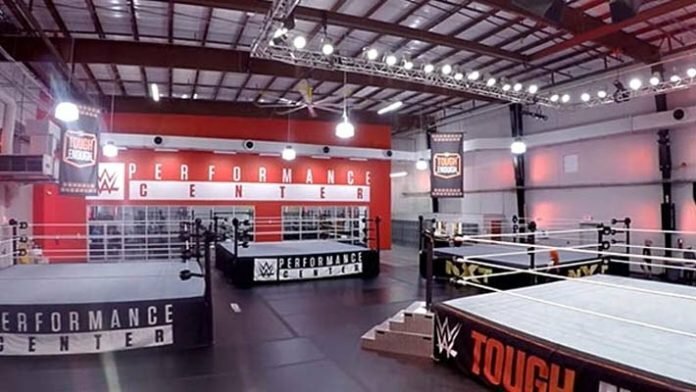 It’s that time of year when WWE welcomes a new class of NXT recruits to the performance center in Orlando, Florida. In recent weeks, we’ve been hearing about some familiar names from ROH, New Japan, Impact and the independent scene will be participating. An exclusive report from Raj Giri at WrestlingINC confirms several members of the new class. We recently reported on Trevor Lee not only leaving Impact Wrestling but announcing he had officially signed with WWE. The former X-Division champion begins his new journey at the WWE Performance Center in February. He won’t be alone, however, as he will be joined a number of other notable names. Rachael Ellering, daughter to Paul Ellering, will also be starting. Rachael has actually had experience performing for NXT and was a part of the 2017 and 2018 Mae Young Classic. Karen Q, who has been making strides for herself as a part of ROH’s Women Of Honor, is another member of this new rookie group. She also competed in the 2018 Mae Young Classic. Perhaps one the most notable names to be joining them come February is ACH. ACH has experience performing all around the world, most notably for both ROH and NJPW. He has performed in both New Japan’s ‘Best of the Super Juniors’ tournament as well as the Super Jr. Tag Tournament. Rounding out the group of NXT’s newest signees are former TNA Gut Check winner, Sam Shaw, Scott Parker and Shane Matthews, Jonah Rock, Elliot Sexton, and Nick Comoroto. Who do you think WWE has their eyes on? Who’s going to be the stand out amongst this stacked group?